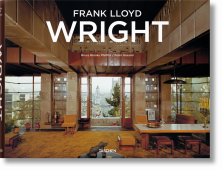 From prairie houses to skyscrapers and the Guggenheim Museum, explore the life and work of one of the greatest pioneers in the history of architecture, Frank Lloyd Wright. 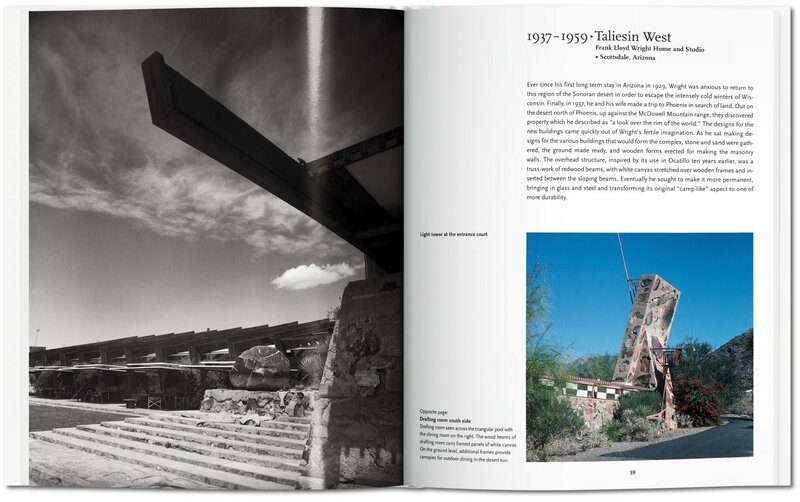 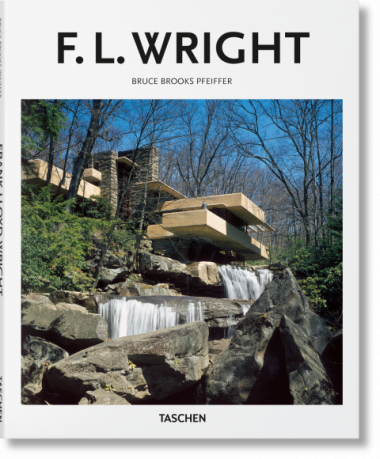 Sketches, plans, and photographs chronicle all of Wright’s major works, celebrating his organic architecture philosophy, innovative use of industrial materials, and vision for a new way of American living. Acclaimed as the “father of skyscrapers,” the quintessentially American icon Frank Lloyd Wright (1867–1959) was an architect of aspiration. 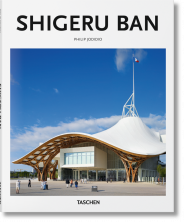 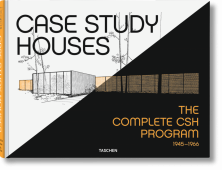 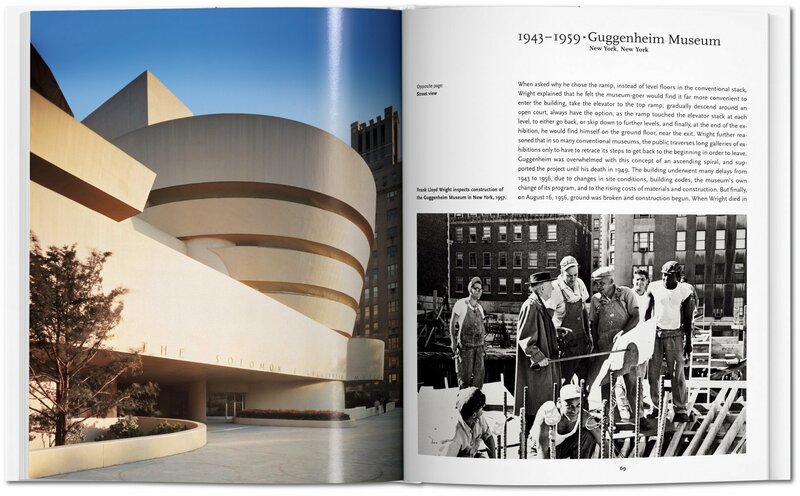 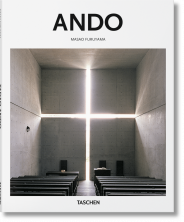 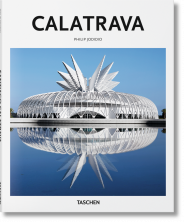 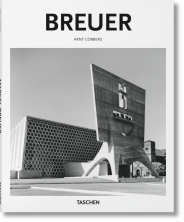 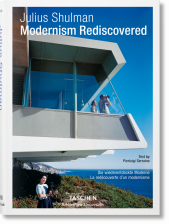 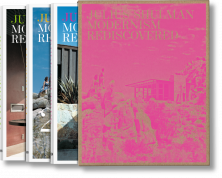 He believed in giving cultivated American life its fitting architectural equivalent and applied his idealism to structures across the continent, from suburban homes to churches, offices, skyscrapers, and the celebrated Guggenheim Museum. 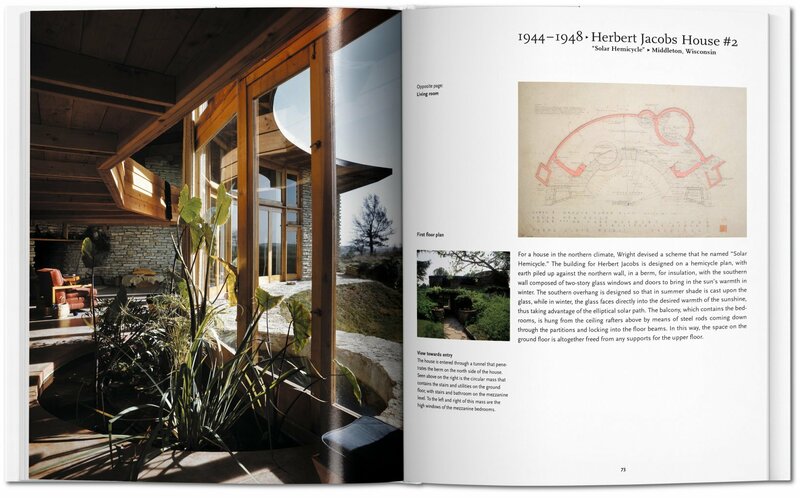 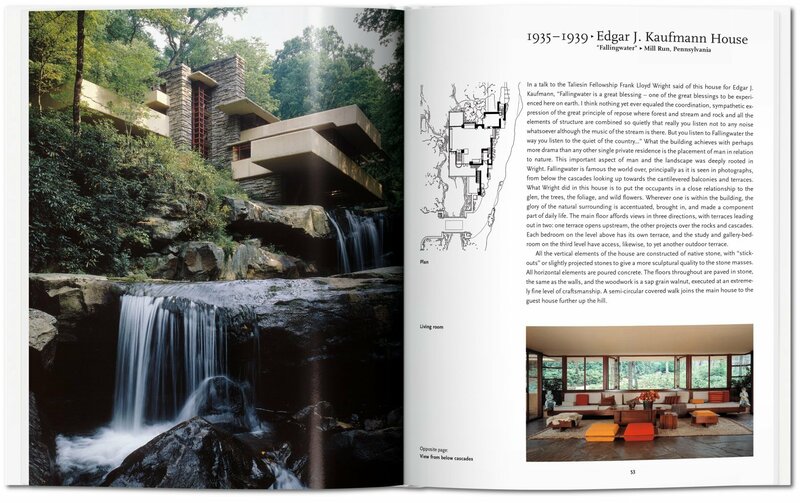 Wright’s work is distinguished by its harmony with humanity and its environment, a philosophy he called organic architecture, and which found its paradigm at Fallingwater, a house in rural Pennsylvania, cited by the American Institute of Architects as “the best all-time work of American architecture.” Wright also made a particular mark with his use of industrial materials, and by the simple L or T plan of his Prairie House which became a model for rural architecture across America. 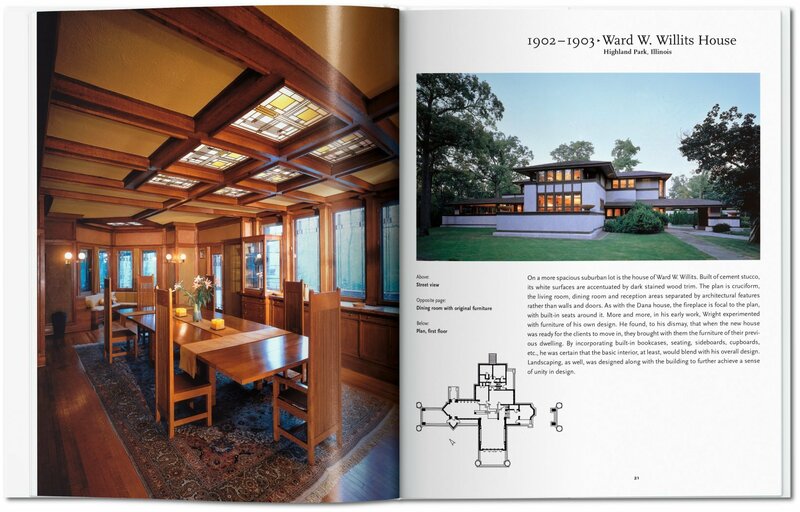 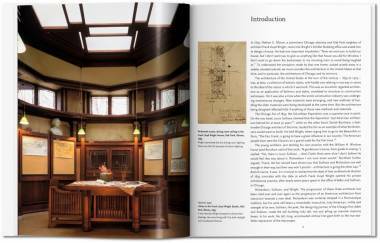 Wright was also often involved in many of the interior elements of his buildings, such as the furniture and stained glass, paying particular attention to the balance between individual needs and community activity.